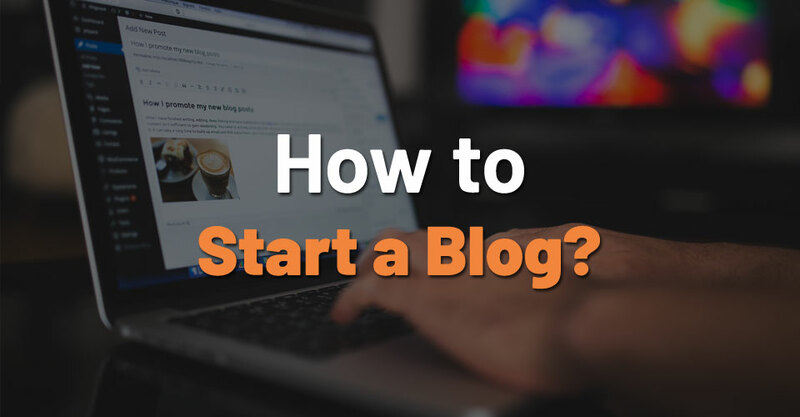 These days, starting a blog is something many people consider to be a great idea. But why is this? 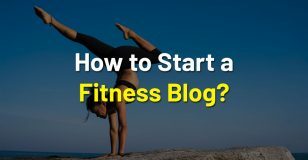 What are the reasons to start a blog? And if you decide to give it a try, what are the steps you should take? Well, this post will answer all these questions in the following paragraphs. But first, before we jump into the mix, let’s see what a blog really stands for. What it means to have a blog? I bet you already visited some blogs while browsing the web. Maybe you weren’t sure about that. A blog is basically a simple ordinary website where you can find information about specific subjects. The owner of the blog writes articles (called posts) about a certain matter. The posts are shown in reverse order. This means that the latest posts are the ones showing up more prominently. This is very important because as a blog owner you want the visitors of your site to see the newest articles first. This will allow a better performance of your blog. More people are likely to visit it. Which is exactly why you created it, right? Now that you know what a blog is, let’s talk about the pros in owning one. Having a blog has many positives for the owner. For example, lots of people want to share with others what they know about a specific subject. To do this, most of them use social media. But if you want your personal place to do this, then a blog is the best course of action. Why? Because owning and maintaining a blogging page will attract those interested in your topic. This way, you can create a small or rather big audience who regularly visits the website. It’s true, to reach that point, you need some time. But if you’re willing to put some work into it, you can succeed. It can be a great feeling to know that you created a new group of people connected by the same interests. 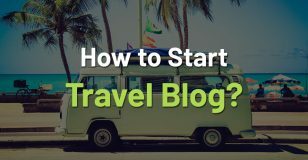 If you already own a business (or you provide a service) a blog can be a great way to market it to more people worldwide, or just in your country. Let’s say you own a company that is selling smartphones. If you’re new in the market, it can be quite hard and complicated to find your new clients. Keeping them will be even harder. In this example why would a blog be very helpful? Just think about it! If along your normal business, you set up a blog, people are more likely to find you online and purchase something from you. Having a blog means that you have to write articles, right? If the company sells smartphones, you could regularly write new posts about the latest trends in the smartphone business. Or take a look at the newest smartphones that were released to the market. You can even write reviews for these products. Doing this, you will make sure that the people searching on Google for let’s say smartphone reviews, are more probable to land on your blogging site. And since they landed there and you are selling smartphones, they could even buy one from you. Actually, the businesses who own a blogging page besides their normal site are 55% more likely to get visits beck to their website. This also means more possible buyers. The second way to make money from a blog is to monetize it using affiliate marketing. This means that you put different links on the site to other products. For instance, if your blog discusses how to be good at swimming, you can have a link (or more) to a swimming cap. When somebody clicks that link on your blog, they will be sent to the store’s website, where the swimming cap was listed. Now it’s up to the visitor to decide what to do. There are other ways to earn money from your blog, but these two that I talked about are the most popular and simple ones to choose. You now have a couple of reasons why creating a blog is a great idea. But you are eager to know how to go about it. We reached the part in the article where we’ll see what it means to create a blog. There are four steps that you must pass to be able to say that ‘I created my own blog’. It’s important that you choose a theme with plenty of room to talk about. It’s obvious why this is so significant. You don’t want to run out of ideas for the next posts. So, think about something that can accomplish this. But don’t forget one thing! You must not be too broad or general with your chosen subject. There’s a good reason for this: If you choose a too wide idea, you will have a hard time establishing yourself as a professional. For example, instead of blogging about sports in general, you could write blog posts about one specific sport, like basketball. This way you won’t run out of ideas because you can easily find a new subject related to basketball. Also, it will be much simpler to write quality posts, not having to cover too much ground. Another important aspect when thinking what to blog about: choose something that you are very invested in. Pick a subject that interests you a lot. This might be the most relevant to think about. Why? If you choose something that you don’t like, how do you think you’ll be able to write quality articles about it? That will never happen. Instead think of something that you can talk about ‘day and night’. This also helps you in not running out of new ideas. If you choose a subject that you love, your blog will become popular way faster. If you are not interested in your blog, why would your visitors be? So, take your time, and think carefully about this. The future of your blog is at stake here. What is a blogging platform? It’s the place where you create your content and maintain your blog. You could say it’s a tool to create a blogging website. To be able to charge your phone you need a power brick. To be able to have a blog, you need a blogging platform. It’s that simple. There are many platforms out there. Wix, Blogger, WordPress, Drupal … are just some of them. But if there are so many variations, which one should you choose? Well it depends mostly on your needs. Why do I say this? Because choosing the right platform mostly depends on what you want to accomplish with your new blog. As I said before, many people would just like to get their opinion out in the world. Let others know what they already do. Or maybe, they want to help others regarding a certain problem. To do this (at least in the beginning) you don’t need a very powerful platform. After all, the blog is not supposed to be a huge one right from the start. But what if in time you want to make some money off your blog? Well, then the situation is a bit different. If this is the case with you, then you should look for a platform that packs all the necessary tools and features to grow your website fast. It should also allow you to improve the capabilities of the blog in the long run. The best option that most bloggers and even company owners recommend is the WordPress platform. WordPress is what you call a Content Management System (CMS). When it was released back in the day, it was primarily used for blogging. That’s why it’s so good. 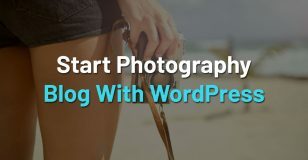 Using WordPress, you get a tool that was already developed having blogging in mind. The other possibilities aren’t bad either. For example, you can use Wix to create a blog. It has one of the best website builders on the internet. But what’s better with WordPress? You will use a platform specifically built for blogging. Knowing this, the developers behind WordPress are working hard to improve the experience for every user of the platform. The people behind WordPress are adding new features to the platform all the time and fixing bugs that could occur while blogging. But there is one thing that you should know when choosing WordPress: it takes some time to learn all the ins and outs of the platform. For someone used to technology it’s no problem building a blog using this tool. But if you’re not so much a tech person, it might take while. Though, it’s really worth your time. This is true because when your new blog will be up and running you will have the best platform behind it. This is thanks to a great feature that WordPress possesses: the plugins. What is a plugin? It’s essentially a small program/software that you can install into your blog. If you go to the Plugins section on the WordPress dashboard and click the Add new button, you can browse through hundreds of plugins. These are meant to take care of specific issues, or add certain functionality to the site. For example, there are plugins created for emailing, site stats, forms, writing, on-site payment, anti-spam, regular backups and we could go on. To be sure your site works very well, you should install only those that are necessary. Too many plugins could slow down the website. Knowing that WordPress is the best blogging platform out there, now let’s move on and see how you can choose a hosting provider and domain name for your blog. What does it mean to choose a hosting provider? A hosting company is the one who gives you space on their servers, so your blog will be accessible to everyone. If you just download WordPress and install on your PC, the blog will work, but nobody will see it, only you. If you use WordPress, it’s the best to choose a hosting provider who provides integrated or native WordPress hosting. What is that? It’s a service that will allow you to install WordPress directly onto the server. They will give you support for taking care of all the technical part. There are many such companies online, but not so many those worth checking out. Our best recommendation is BlueHost. They are a company founded in 2003 in the USA. There are more than 2 million websites around the globe powered by BlueHost. This gives them a high trust score. What are they offering with the WordPress hosting? You can choose among 3 available plans: Basic, Plus and Choice Plus. There are some differences. The features included with each of the 3 plans are a free SSL certificate (for a secure site), 1 click secure WordPress installation, site analytics dashboard, automatic WordPress updates and more. With the Choice Plus plan you have domain privacy and spam protection in the package too. Once you’ve chosen a plan that’s right for your project, you can move on and select it. After clicking it, you are being taken to a page where you should enter a domain name. There are 2 options here: one where you enter a totally new domain name or another option where you type a name that is already yours (maybe you’ve purchased it sometime before). Now we’ll go with the first option: enter a new domain name. To come up with a domain name for your site, it’s important to think what your blog will cover in its posts. For instance, if the blog will about basketball, you could call it basketball.com. Of course, this is just an example, since the name is already taken. The idea is, to come up with a name that suits your new site. If you choose such a name, your blog will be more likely to be found online. This is part of a strategy called SEO (search engine optimization). When you decided what your blogs name will be, you have to enter all your info for purchasing the plan. First of all, you are needed to enter your accounts new login information. This is something every signup asks for. The important part comes after you’re done doing this. You have to choose which payment plan you want. BlueHost isn’t offering a monthly payment plan. So, the shortest one is to pay for a year upfront. You can also go for 2, 3 or 5 years; although it’s best if you go with the 1 or maybe 2-year option. Next you must choose what additional features will be available for the blog. The domain privacy protection which costs $0,99/month should be left on. If you don’t leave it on, your private information will be available to the public, something nobody wants. So be sure to leave this in your package. 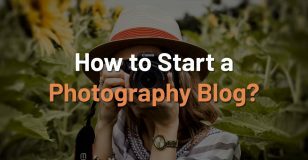 The other features aren’t mandatory, but if you’d like to, you can pay for them to get a better start for the blog. In the end you have to introduce your payment info (Credit/Debit card or via PayPal). A useful addition to your purchase is the fact that BlueHost gives you a 30-day money back guarantee. So, if you’re not ok with how your site preforms or have any problems, you can ask for a refund and they will give your money back. Of course, the hosting will be closed. Now that you’ve completed your purchase, you’ll be asked to create a password then you can log into your newly created WordPress site. BlueHost gives you some free themes to choose from. You can pick one, but if not, that’s no problem. You can choose another later on. You’ll be redirected to the WordPress dashboard. This is where all the cool stuff happens. 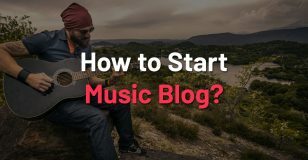 From this place you’ll be able to create and manage your new blog; write new posts, add new features, anything you can think of starts on this page. On the left side you can find all the options needed for this. The first notable choice is the Posts tab. This opens up the panel where all your posts are listed. From here you can edit them. Adding a new post is very simple: just click the Add new and you’ll be on the page where you have to write your latest post. You can even preview it on your site without actually releasing it yet. The next is the media button. Quite obvious what this is about: manage and add new media content. Here you can see all the pictures you’ve previously added, the videos and audio files too. It’s great to keep everything in order so you can easily find what you’re looking for. All this content is possible to be inserted into the posts you’re writing. Pages are the next section. You might think this is just like the posts tab. And yes, there are some similarities. When you look at them online, on the site, they surely look the same. Editing pages is very similar to editing a post. But don’t be confused. Pages are different because they are one-off type content. An example for a page is the About us or Contact page that most sites have. These are not changing in time. You can access them anytime the same way, mostly from the menu bar. But the posts are different because they are showing up in reverse chronological order. The latest posts are showing up first. The older a post is, the more your visitor has to dig to find it. The site stores the date for the newly published posts, so the very old ones are being archived. Moving on, you can find one of the most important tabs, Appearance. Obviously, this is where the appearance for the blog is being changed. Clicking the Appearance button, you will be given many options, but he first two options are the ones that interest us right now: Themes and Customize. I said that you don’t necessarily have to pick a free theme from the start, from BlueHost. Going to the Themes section you can see all the themes that are already installed into WordPress. To activate one, just click that button. But it’s important to know that you can add new ones easily if you would like something more interesting. There are thousands of free and paid templates available for blogging. Hundreds of these themes were created specifically for blogging purpose. Just pick one that suits you best. Now it’s time to customize your blog. To do, this just click the second option from the Appearance section called Customize. A new page will be opened up where the look of the blog can be developed. Depending on your chosen template, you can have different things available for change. Widgets – (almost all themes) – some examples: audio player, popular posts section, calendar, image gallery, navigation menu, recent posts, search bar, video, etc. Homepage settings (almost all themes) – here you can set what you’d like as your homepage: to see a static page that doesn’t change at all, or to be displayed the latest posts you’ve written. Other templates have different features included, but as you can see, there are some that happen to be available for any WordPress theme. Once you’re done customizing the blog, you can publish it. This will instantly let everyone see the new changes you’ve made to the site. The following button will take you to the plugins page. I mentioned this being a very helpful option. On this page you can check out all the installed plugins. You can sort them to see only those that are active. Adding a new one is just as simple as installing a new theme. Some very popular plugins that most WordPress blogs are using are: Yoast (SEO), JetPack (for statistics and SEO), Akismet (anti-spam), Contact Form 7 (add forms to the blog), BuddyPress (for community features), Google Analytics, etc. In the last section called Settings, you can change your user info and update other account related knowledge. In the top right corner, you click your user name and go to the Edit my profile page. Here you can edit the preferences for your WordPress like the color scheme, other options to be turned on or off (keyboard shortcuts, visual text editor, toolbar, etc.) or add social media info about yourself. There is one more step that is important that you go through, to make sure your blog will be a success. This isn’t directly part of the set-up, but it’s a notable step in making sure your blog survives well enough. The reason for having a blog is that others could read it, right? But how can they read it, if they don’t even know it exists. That’s where this step comes into the picture. It’s especially important if you’re just starting out. Social media: Do you have a Facebook or Twitter account? Instagram maybe? What about Pinterest? These are just some of the social media platform you can use to market the blog. But how? First of all, when you launch your blog, let your followers and connections know about it. Just post a new status like ’Hey everyone, my new blog is online! Paste a link to it inside’. To further make sure that people will know about it, just do the same thing, but for the individual posts you publish. A great way to reach as many people as possible is to get into groups that are related to your blog’s niche. This way you are more likely that the people seeing your post will go on and check it out. You can find useful groups on Facebook and Pinterest. Email marketing: This doesn’t mean that you have to send out a bunch of emails for random persons. Instead, when you create your blog, add a newsletter too. Why is this so efficient? Every big brand is using it. Just think about the online stores that you have visited. They all have an option to sign up to their newsletters. If you do this, the people who already visited your site will stay in touch with you much more easily. This is the best method to keep your visitors. You don’t have to write an email every single day. This could drive away your audience. More isn’t always better (this case proves that). Writing 2 or 3 and sending them out in different days of the week will do the trick. You won’t flood your visitors with tips, but it will be enough to keep them interested. 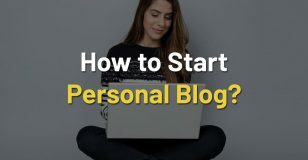 Many blogs, who accept guest bloggers to write for them will display your name, and possibly site, at the top or end of the post. The readers will easily notice this information. Give it your best and write a quality post. Doing this, the readers can go over and check out your personal blog too, hence becoming your readers. You can find much more tactics on the web to market your blog to the world. But these 3 are proven methods that will get you visitors more efficiently. The social media marketing is best to use when the blog is in its early stages. The second and third methods are going to get you visitors simpler when you already have a steady income of visitors. But don’t be afraid and give them all a try. There’s nothing you can lose for applying these methods. Think about something you like to do or you’re passionate about that can be turned into a blog. But be sure that it’s something you can talk about often without repeating yourself. Hugely important step! Choose a blogging platform. Best one for any blog is WordPress. It includes lots of positives that any blog owner would love to have. Set up your domain and hosting with BlueHost to have a flawless online performance. Personalize your blog to the maximum. Add all the options you want available and make it look gorgeous. But don’t overcomplicate it. Use the plugins to add features, but don’t install too many. This way your blog will load faster when accessed by a reader. Get yourself readers using the three methods I talked about above. They really work. Once you have set up everything we’ve seen in this article, you can safely say that your blog is online for others to read it. Just don’t jump over any step, because that’s not going to help. All of this is important if you want a well performing site. There is just one more thing you got to do: create some amazing content to put on it, regularly. With other words, write articles that you’re passionate about. Set out a goal how many articles you want to publish every week. At least one is good to have. And be serious about it! At start, all of this might seem overwhelming. Many of us have been there. But don’t focus on that. Give it your best and you will make it, like many others already have. Be confident about that!